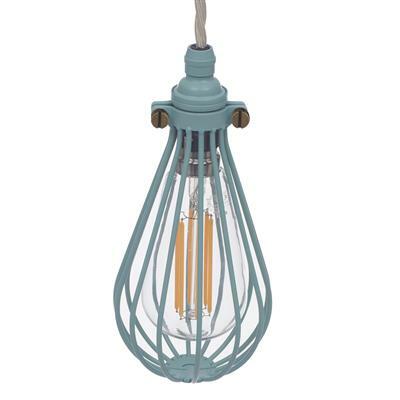 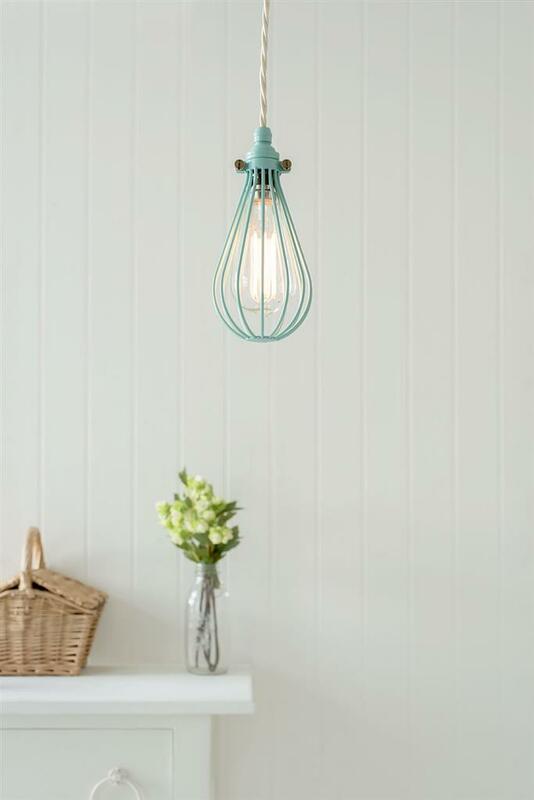 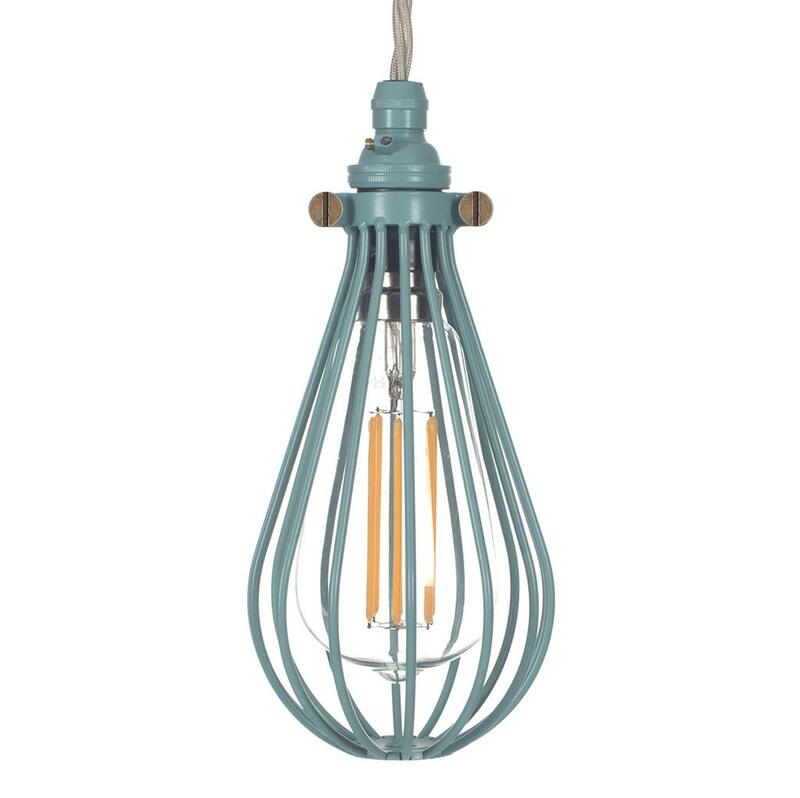 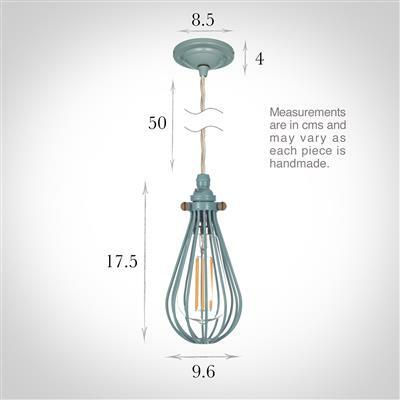 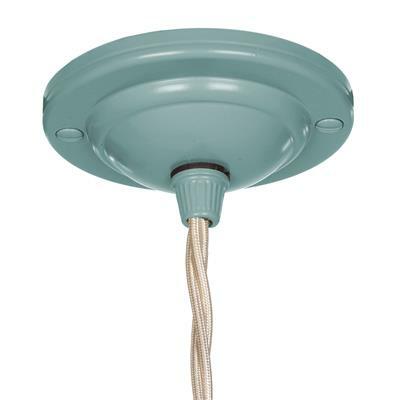 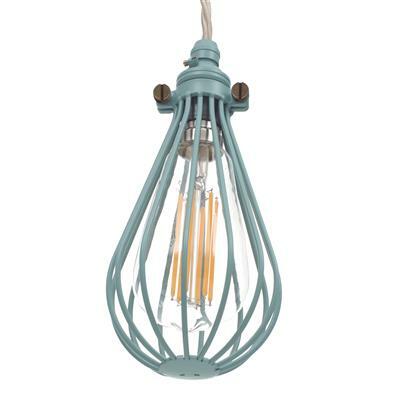 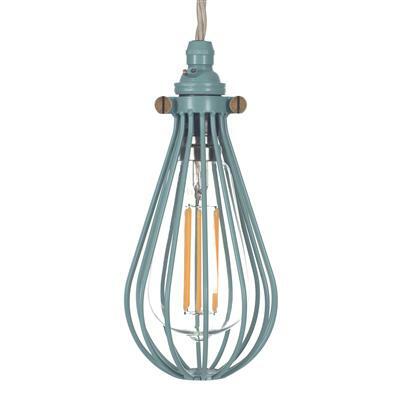 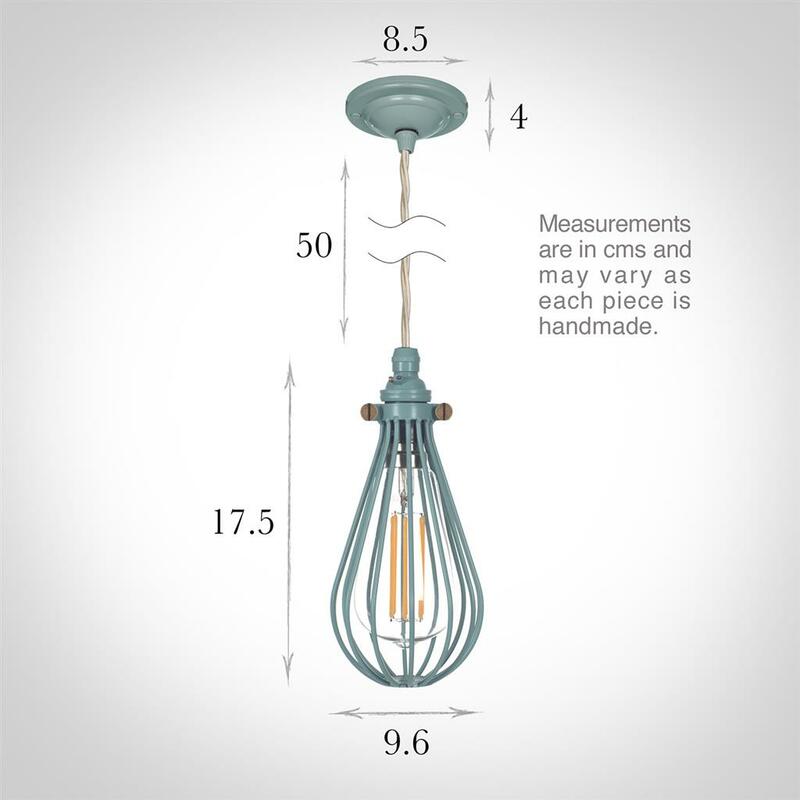 The Cowley is a stylish ceiling pendant light featuring a cage design. This teardrop shaped cage completely covers the bulb, and is available in a choice of painted finishes like this cheery duck egg blue. 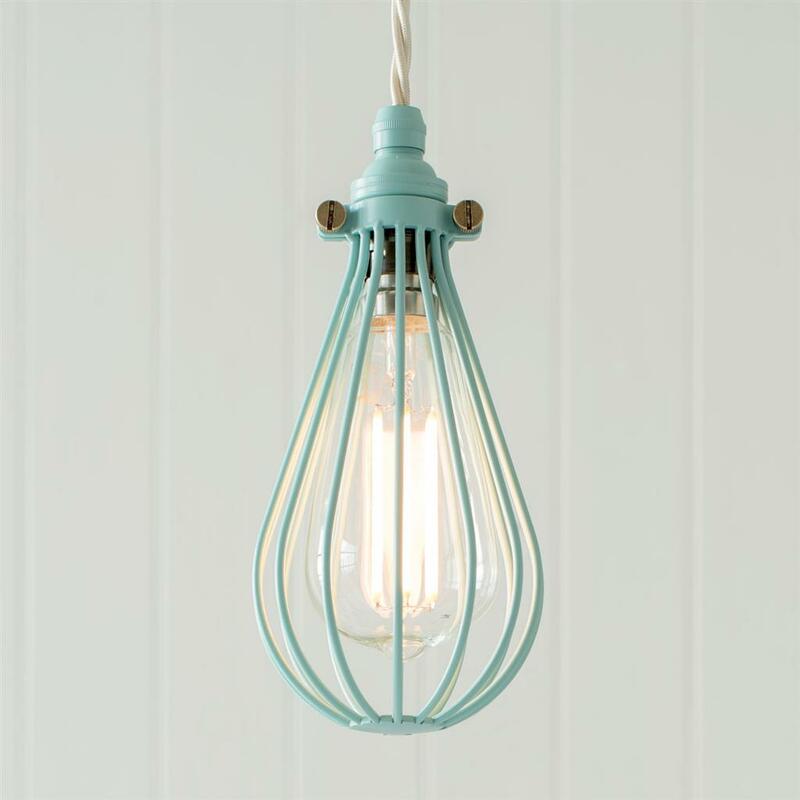 Ideal for adding industrial or retro chic to your interior.